Facial cupping tones facial muscles, fills and tightens the skin, softens expression lines, tightens sagging skin and helps reduce wrinkles and puffiness under the eyes. This treatment is completely painless and can be a relaxing single session or a healthy non-surgical alternative to medical facelifts and botox treatments. Facial Cupping is a traditional, time-honored treatment that remains favored by millions worldwide because it’s safe, comfortable and remarkably effective. Women in Asia, Russia, and Europe have been utilizing these remarkable facial cupping techniques for rejuvenation and maintenance for years. Facial cupping is a proven technique that has given patients a natural alternative to cosmetic surgery or Botox. Facial cupping is a completely pain-free treatment that gently lifts the facial tissue giving you a natural “face-lift” by improving lymph and blood circulation through the facial muscles as well as smoothing out any visible wrinkles. Facial cupping can provide therapeutic results for symptoms related to sinus infections, inflammation, edema and those suffering with TMJ disorders. The drainage of stagnant fluids from reservoir areas will help reduce chronic puffiness. Facial Cupping has Deep Structural Benefits: Over time, metabolic waste gets built up in our superficial fascia. When this happens, our superficial fascia can develop restrictions that impede proper flow of nutrients and waste products between our skin, fascia, and muscles. Suction creates space, allowing for the body to make new choices with regards to nutrients, drainage, and repair. Our facial soft-tissue is arranged in a series of concentric layers: skin, subcutaneous fat, superficial fascia, mimetic muscle, deep facial fascia, and facial nerves, parotid duct and the buccal fat pad. And in cupping massage, the layers get de-compressed a bit; just enough to make a difference.The light suction causes a negative pressure. This “negative pressure” is a novel experience for the body; one that it may never have experienced. Your body is more familiar with pressure and pushing and prodding and compression, rather than feeling the spaciousness and flow that facial cupping provides. This innovative skin care treatment offers the benefits of a CO2 treatment without needles. The treatment combines a specially formulated gel with a patented sheet mask which activates CO2 and transfers it to the skin cells forcing it deep into the dermis which then causes skin to flush with Oxygen (O2) – the Bohr Effect in full effect! Clinicians have been capitalising on the Bohr Effect to help their patient’s skin, administering it by injection in specific areas, or CO2 facial therapy, which improves skin oxygenation. The Bohr Effect is credited with improving collagen and elastin synthesis, giving skin a tightening effect, and improving O2 levels for smooth youthful skin. It has been one of the most widely embraced cosmetic procedures of all time, but it seems our love affair with botox may finally be coming to an end. Women are turning away from using botox and fillers after several recent celebrity horror stories – like the recent cases with Donatella Versace and Renee Zellweger. More women are choosing so called notox facials and spa treatments instead of injectables – and sales up three times higher in 2014 than previous year. Increasing numbers of celebrities such as Donatella Versace looking unusual has been blamed speculatively on overuse of botox and filler, which has seen a decline in the procedures. Renee Zellweger shocked many when she appeared at a showbiz event looking completely different to her Bridget Jones days. In both cases over-use of botox and fillers was pointed to as a possible cause and now as a result women are turning away from using them and sales are now in decline for the first time since they were introduced around 12 years ago. Many are now turning to safer non-invasive anti-ageing treatments and facials which don't have any negative side-effects. Beauty industry expert Dean Nathanson said: 'There has been massive switch from injectables to anti-ageing treatments clearly because women are concerned about the effects certainly for over-use of injectables. 'The move to using facials like the micro-dermabrasion and oxygen infusion facial which was seen a 200 per cent increase in orders this year, and the micro-current facial which has been dubbed the non-surgical facelift. Industry insiders have said that the use of fillers and botox is on the decline now for the first time in over 10 years and women are starting to move away, or at least significantly reduce the amount of injectables they have on their faces. They appear to be turning instead to procedures such as treatment that includes a combined micro-dermabrasion and LED lights followed by an oxygen infusion of neo-peptide rich serums that inhibit muscle responses and therefore attempts to mimic the effects of botox. The news that Botox use may be in decline comes after recent research revealed that a shocking 84 per cent of youth-seekers admitted to having absolutely no idea what was going into their faces when under-going the procedure - or even if the injection given actually contained key ingredient Botulinum toxin. LHE Technology (Light & Heat Energy) delivers effective and safe skin care. Its inherent safety and flexibility enables it to be used for a wide variety of applications; Skin Tightening, Skin Rejuvenation, Wrinkle Reduction, and Collagen Renewal. In the early 80's, a new method of light-based therapy, selective photothermolysis, was developed. The theory of selective photothermolysis maintains that by optimizing certain application parameters, the practitioner can target a specific chromophore while minimizing the effect on surrounding tissue. This Anti-Aging Serum hydrates, nourishes, repairs and replenishes. Instantly improves the tone and texture of the skin. Provides and immediate glow. Strengthens the skins vital lipid barrier. Protects and Renews all skin types. Organic, all Natural, hypoallergenic, not tested on animals, Vegan. Buy & Review on Amazon, Get a free Omega 3.6.9 upon next Lifted visit. LED Light Therapy is one of the most effective and affordable technologies for achieving healthy and youthful skin. Its is soothing, painless, and can be used on all skin types to diminish fine lines and wrinkles. It can firm and tone aged or tired skin, reduce the appearance of pore size, smooth texture, and increase elasticity. As we age, the volume of collagen and elastin in the skin decreases, allowing lines and wrinkles to form. The LEDs penetrate the epidermis layer of the skin, stimulating your skin's natural ability to produce collagen and elastin. This increased volume of collagen and elastin plumps up the dermis layer, gradually pushing out lines and wrinkles. LED stands for Light Emitting Diode. Each LED wavelength (color) of light provides unique therapeutic benefits. LED is non-invasive, painless, and requires no downtime. It's great for all skin types and is engineered to emit a soothing gentle warmth. I love using LEDs in my combo treatments and it's one of the easiest, most relaxing treatments I perform at LIFTED SKIN. Lifted introduces the Monday Quickie, an all new treatment to help maintain radiant skin for people on the go. Let's face it, we live in a world of constant motion. Between juggling busy schedules, meetings and kids who has time for the spa? We believe there has to be a better option than spending hours and paying hundreds in treatments to maintain clear and healthy looking skin. Lifted has coupled cutting edge, high end skin care with a convenient 10 minute service and delivers it all under $60. Introducing the all new Monday Quickie. Choose between a a Diamond or Chemical Peel facial treatment that minimizes fine lines, wrinkles, blemishes, and sun damaged skin. I offer a 40% Alpha Glyolic Acid Peel, a 50% Lactic Acid with Kojic Acid, a 35% Salicylic Acid, and a 30% Lactic Acid Peel. Book a Quickie available on Mondays only. 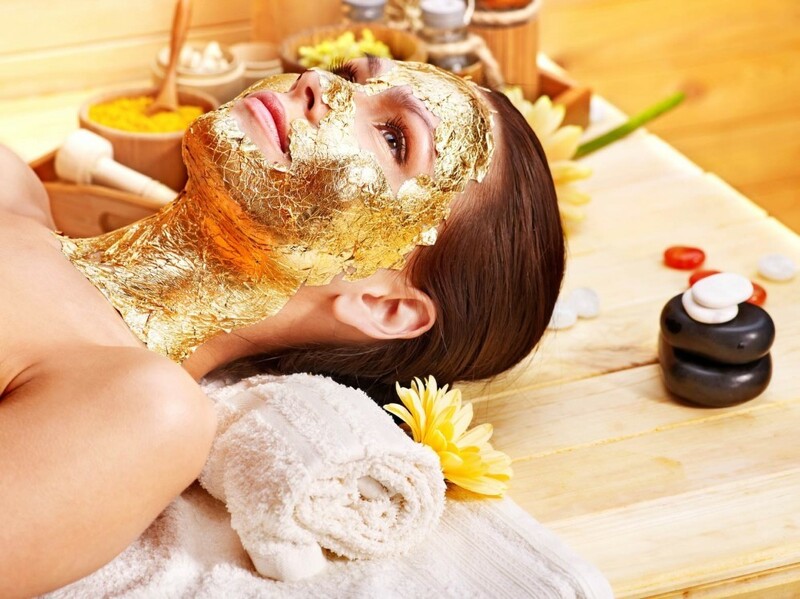 Try the newest celebrity skin craze, the Midas Touch. This spectacular, effective treatment includes a Lactic Acid/Green Tea Peel, Diamond Peel, Bee Venom with O2 blast, 24k Gold, and LED treatment. Historically in Egypt, gold was used for its curative and antibacterial properties. The exclusiveness of this ritual remains unchanged throughout the years, as only a certain number of elite spa’s around the world offer the expertise in using this expensive metal for skin and energy revitalizing purposes. Reduces the appearance of sun damage and age spots. Completely hydrating and aids recovery for the skin. Prevents the premature aging of skin by fighting off free radicals. Powerful antioxidant and anti- inflammatory properties. Improved metabolism and secretion of waste. Stimulation of the veins and nerves, leading to better blood circulation. Provides a golden glow, creates luminous, radiant skin. Celebrity skin secret!! This spectacular treatment includes a Lactic Acid/Green Tea Peel, Diamond Peel, Bee Venom with O2 blast, 24k Gold with LEDs.